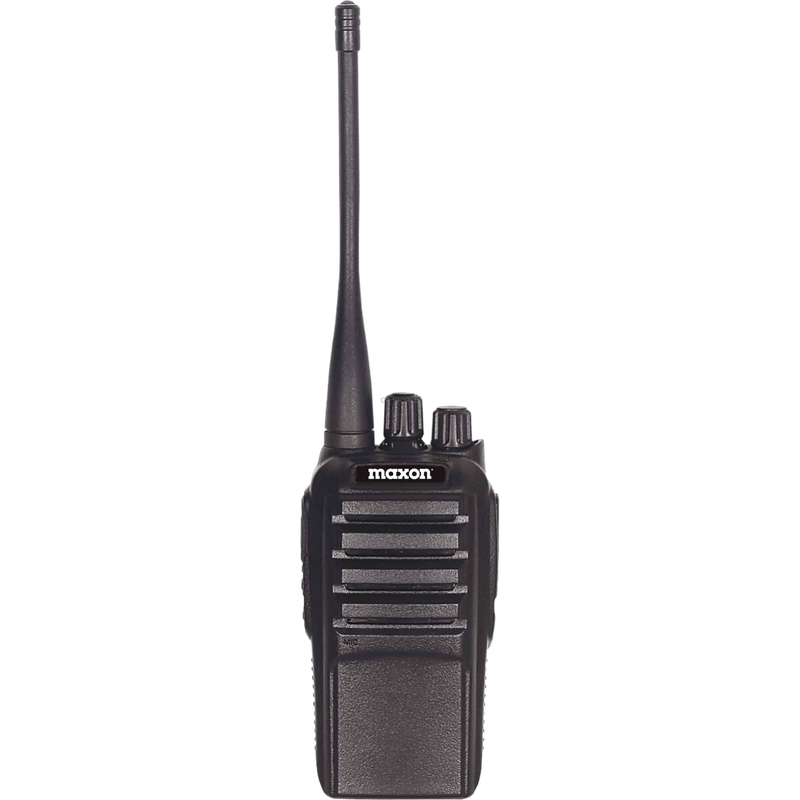 The Spartan 4 watt, 16 channel UHF handheld radio with optional voice annunciation delivers reliable communications for business. The lightweight (7.2 oz) compact radio design (case measuring 4.6" x 2.2" x 1.3") enables effortless portability. 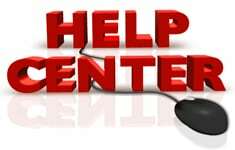 The easy to use radio is pre-programmed to operate with other jobsite business radios or can be fully programmed to existing simplex channels, repeater systems or independent FCC licensed frequencies. 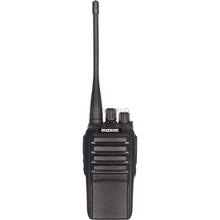 Features 16 channels, 5 watts power output, VOX (voice operation), 2 pin Motorola style microphone jack, 12.5/25 kHz channel spacing, CTCSS/DCS, 700 mw audio output, Time-Out Timer & power save mode. Comes with 1,500 mAh Li-ion rechargeable battery that provides up to 14 hours of use, a rapid rate drop-in desktop charger provides a full battery charge within 2-3 hours, rubber antenna & belt clip. Programming disc and optional accessories sold separately.